You have done a wonderful job on both Ultimate Contracting and Blizzard Snow Removals website and the advertising. 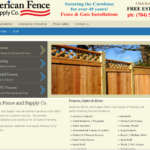 Contractor Web has greatly increased our business. We have had other company's in the past, but not near the results that you are giving us. Keep up the great work!! We could not be any happier with the results or the process of building our new website. 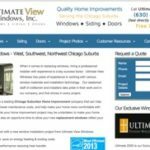 ContractorWeb kept us on track and provided much needed guidance when warranted. Our questions were answered in a timely manner and the attention to detail was outstanding. We look forward to continuing our professional relationship and relying on John and his team to keep us current and continuing to update and manage our website. Thank you for all of the effort you put in! Contractorweb is a great company to work with!! They know the in and outs of web marketing. Not to mention they build professional websites that look great. If you are in need of a website or need your business to go to the next level then I highly recommend using this company. 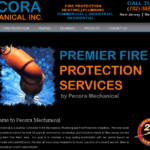 Our website was redesigned quickly and with attention to detail. The service was professional and courteous, always answering my many questions and porting my email for me. 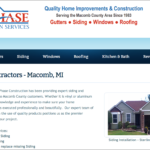 I highly recommend Contractor Web Design. I dreaded the task of creating our new website. Then I began working with John at Contractor Web. He made the experience pleasant, quick and fairly easy. It is a work in progress, but they made it easy for us to make changes and updates as we go. Thanks!! Though we've never met personally, John seems to be a good guy. Very responsive and helpful. Always gets back to me, and answers my questions/concerns right away.